Geography is concerned with the study of places, the human and physical processes which shape them and the people who live in them. Why is it important to learn about geography? At Cottesmore St. Mary we aim to provide a high-quality Geography education which should inspire in our pupils a curiosity and fascination about the world and its people that will remain with them for the rest of their lives. What geography is taught at Cottesmore? In our school, pupils study their local area and then progress to looking at contrasting localities, both within the United Kingdom and also in other parts of the world. The children learn to use maps to locate cities, countries, mountain ranges, rivers, seas and oceans. In addition, Geography helps our pupils gain a greater understanding of the ways of life and cultures of other people in other places, as well as the impact that they have on the environment They use atlases, photos and the internet to explore the environment and economics of those countries which they study. The skills they have developed in other curriculum areas are then used to report and record their findings. How is geography taught at Cottesmore? 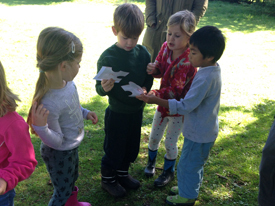 During their time at Cottesmore St Mary the children’s geographical enjoyment and understanding is enriched through their topics which include school trips and curriculum days. For example: Year 3 in their ‘Coast to Coast’ topic learnt about the different counties in the UK and the physical and human features of the UK. 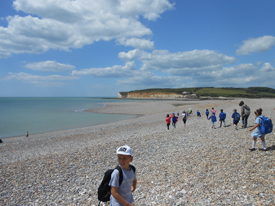 They also visited the Seven Sisters to look at the coastal erosion. Year 4 through their ‘Where is my Mummy?’ topic have located Egypt on maps and globes and have been studying rivers by looking at the Nile. 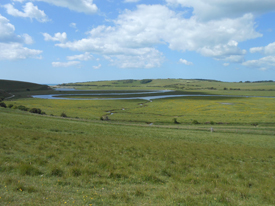 They have developed their Geography fieldwork and observational skills by visiting Cuckmere Haven. 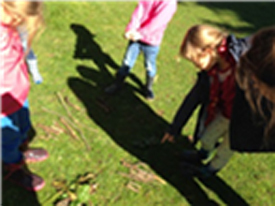 In Year 1 for their ‘Walk in the Woods’ topic the children visit Forest school in the Autumn term. They use geographical language to describe key physical and human features of our local area. They also use aerial photographs to recognise landmarks and devise a simple map and key. They also Identify UK seasonal weather patterns. How you can support your child at home with geography? Can you show where the country is on a world map? What is the capital city of this country? What are the key physical features of this country? Are there any famous landmarks in this country? How is this country similar/different to United Kingdom?